Limoncello is a sweet, simple, natural and genuine liqueur obtained from the maceration in ethyl alcohol of the rinds of the different varieties of lemons, grown on the farm and chosen in their different degrees of ripeness. In the next stage the alcohol is mixed with a syrup of water and sugar, all produced according to the traditional family recipe. Ideal to be enjoyed as a digestive after meals or to enhance the taste of sweets and fruit salads. 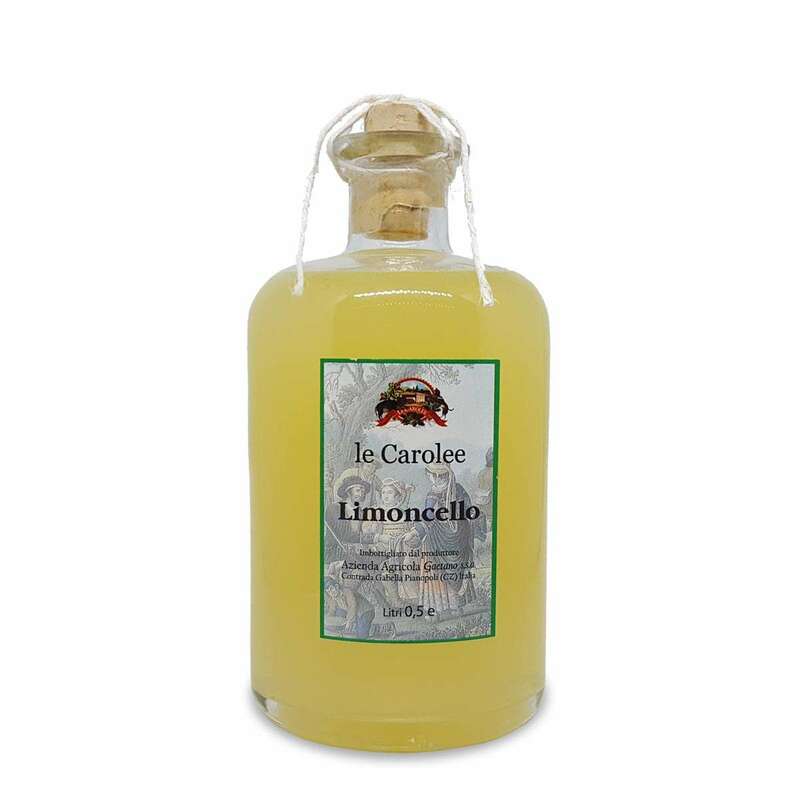 The limoncello, a sweet liqueur obtained from the lemon peel.